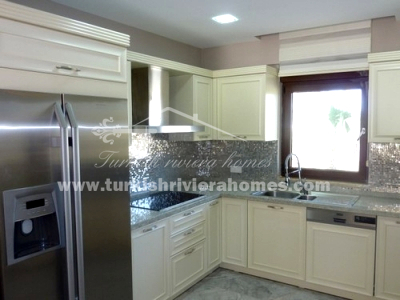 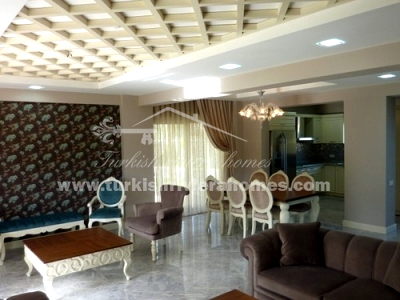 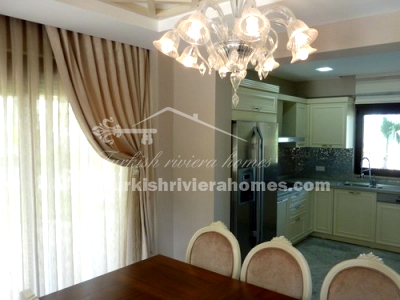 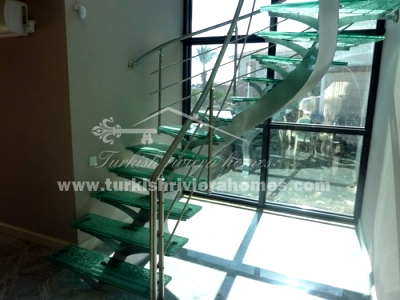 These luxury Kemer villas are located in Camyuva village near to the beach. 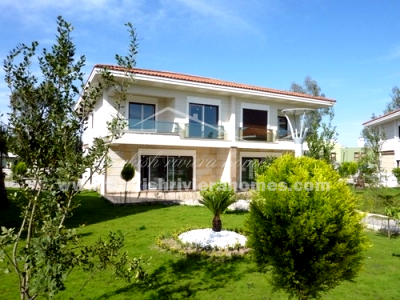 Villa complex resides on a 10000 m² plot with rich facilities. 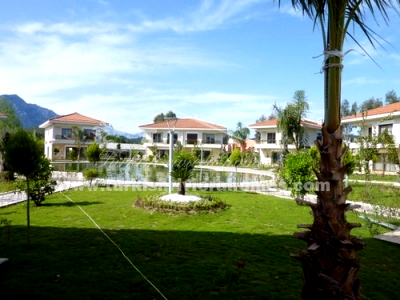 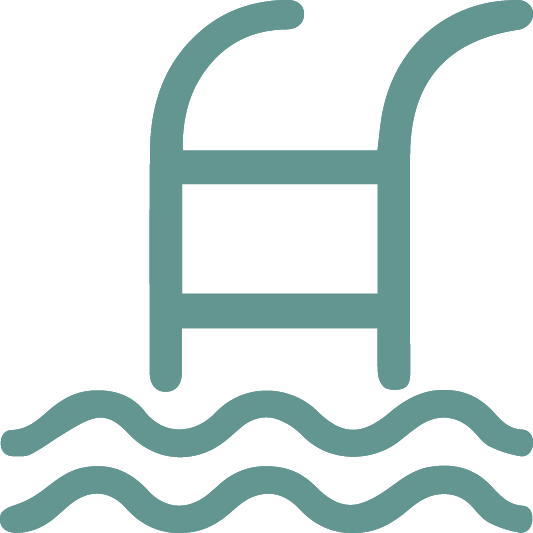 Residential complex provides 24/7 security with cctv system, landscaped garden, half sized Olympic swimming pool, children’s pool, playground plus a private parking area for each villa. 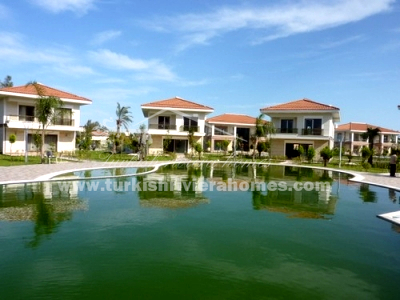 There are only 12 villas in the complex. 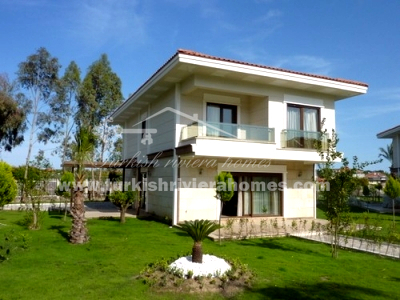 All the villas are made with top quality materials and expert workmanship. 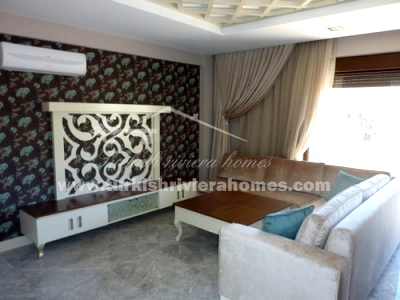 Each villa comes with 2 air conditioning units and with equipped kitchen (Franke, Siemens or Bosch brand). 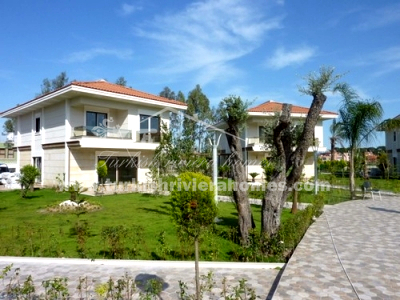 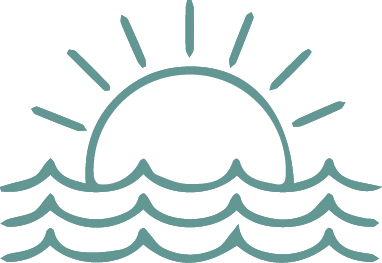 There is a solar energy system installed in each of the villas. 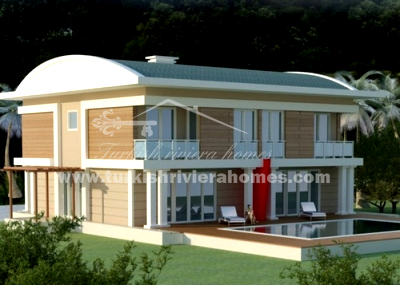 dressing room (3 m²), bathroom (3 m²), kitchen (11 m²), dining room (9 m²), salon (28 m²), terrace 1 (34 m²), terrace 2 (9 m²), Terrace 3 (10 m²). 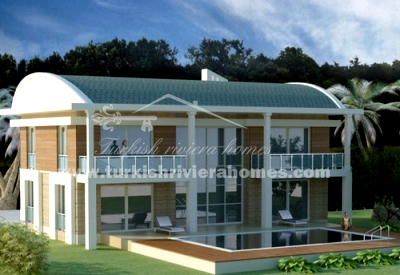 bedroom (24 m²), bathroom (8 m²), bathroom (7 m²), bedroom (14 m²), bedroom (15 m²), Balcony (6 m²), storage (3 m²).